1 Home Gym Ideas to Mesh CrossFit and HIIT. The flexibility and customization potential of a home gym can help you try out and experiment with new approaches to strength-building and conditioning. Two of the most popular approaches to fitness in recent years have been HIIT (High-Intensity Interval Training) and CrossFit. Each of these approaches can be used to achieve some pretty impressive results. And here’s the really exciting part: your home gym can mesh with the principles and approaches of both HIIT and CrossFit, enabling you to try out these exercise programs and integrate the very best elements into your daily workout routine. In other words, with our home gym ideas, owning an all-in-one home gym is a great starting point for creating an HIIT or CrossFit Program that works for you. If you look online, you can find plenty of different home gym ideas for exercise programs that integrate these basic HIIT principles into a very effective 30-minute workout. The workouts look deceptively easy – and you may at first think that 30 minutes is not nearly enough time to burn fat and strengthen the core. However, you’ll be shocked at how fast your heart rate increases and how much oxygen you are using. You can see at a glance that all of these exercises rely primarily on your own body weight. They do not necessarily need any extra fitness equipment. However, you can replicate these exercises on your home gym, especially those that focus on strength training. The best part of using an all-in-one home gym is that you can quickly cycle through a full interval of training using all the different exercises available. 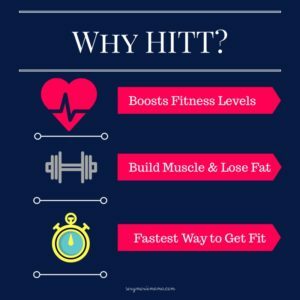 Once you get the idea of how HIIT workouts can challenge you physically, it’s time to move on to CrossFit, which has been described by many as a “personal exercise philosophy” that uses some HIIT principles. In short, there are several different exercises that are uniformly used by every CrossFit gym – such as squats and sit ups – but the real magic of CrossFit is something known as the Workout of the Day (WOD). Moreover, if you walk into a CrossFit gym, you’ll often see an exercise bike, a rowing machine, or other equipment. Heading into the WOD, you won’t know the exact combination that your CrossFit instructor will be using, and that’s part of building a very fit and conditioned body. You can immediately see how an all-in-one home gym follows the CrossFit philosophy. In fact, it’s possible to relate some of the popular CrossFit exercises to an all-in-one home gym like a Bowflex machine. This machine may have anywhere from 30 to 90 different exercises, some of which are based on plyometrics and others that are based on weightlifting. In fact, there are so many different exercises on a Bowflex machine that you can easily create your own Workout of the Day. That’s one huge advantage of having an all-in-one home gym: you can come up with your own home gym ideas and create some incredibly unique programs. Some people prefer to attend a CrossFit gym before trying out the exercises with a home gym. That’s a good idea, especially if you would like to understand the philosophy and technique behind CrossFit. Just keep in mind that CrossFit can be so cross-functional that there’s no single exercise program that will always be the same. But you can still get some great ideas for planning your own WOD. And there’s one more element of CrossFit that you can integrate with your all-in-one home gym experience, and that’s the focus on competitive fitness. If you check out YouTube, you’ll see all kinds of videos about CrossFit as a competitive fitness sport. There are special events where CrossFit enthusiasts compete to see who is the “fittest.” And even at a CrossFit exercise facility, instructors will encourage healthy competition between people in the same class. There are plenty of examples of people who have used their all-in-one home gym to train for competitive athletic events – everything from a 5K to a marathon. Moreover, with a home gym, you have so many different ways to work your body that it’s perfect for training for events like a triathlon that push you to achieve excellence in so many different modes of activity. Thus, you can achieve a significant number of health and fitness benefits from the ability to work out easily and often with the convenience of a home gym. By constantly mixing things up, and by selectively integrating new approaches to exercise like HIIT and CrossFit, you can achieve your fitness and wellness goals faster than you ever thought possible. With these examples and your experiences you will continue to build your own home gym ideas.